All Nissan drivers in Tacoma, WA know how fortunate they are to be behind the wheel of a Nissan. Its style, superior engine performance, and reliability make it a highly coveted vehicle. Coopers Auto Repair Specialists are in the business of maintaining the enjoyment all Nissan drivers get from every trip to the work, the store, or around the block. You already know how to preserve your Nissan engine and electrical components, timely and consistent maintenance. The saying goes ‘Work Hard, Play Hard.’ And for your Nissan, you should be using the same principle. The powerful Nissan engine lets you command the road like a sports car and feel like a rock star. You just may not know where the bring your Nissan maintenance and repairs. The answer for Nissan owners is to bring it to the specialists at Coopers Auto Repair Specialists in Tacoma, WA. We are experts, trained in the unique needs for all makes and models of Nissan. Taking your Nissan to the closest general repair mechanic will rob your superior automobile of the specific knowledge base and experience of a shop that’s keenly familiar with your Nissan–unless of course, Coopers is you’re closest repair shop. In that case, we’ll see you soon. That powerful purr of your Nissan engine doesn’t stay that way by itself. As you impress us all on the highways with its superior performance, your engine can get tired from showing off. All it needs is the proper attention from a technician that knows it best. We perform all your routine oil and filter changes according to a schedule that’s designed around your specific vehicle, and your driving needs. 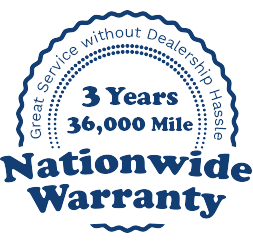 If you’ve encountered a repair need that’s standing between you and your fully operational Nissan, don’t worry we handle them all. From minor repairs like wheel alignment or braking system services to major repairs like engine rebuilds and replacements. We also provide transmission service and repairs. The goal is always to maintain the excellence with which you bought your Nissan. Nissan manufacturers keep creating vehicles that are at the forefront of the automotive industry. Nissan vehicles are known for having long-lasting road lives, and you won’t find them on the side of the road. Coopers Auto Repair Specialists should be your preferred Nissan pit stop, our affordable rates, family-friendly atmosphere, and expertise are what keeps Nissan owners coming back. Stop by one of our locations in Tacoma today, and let us get you back in the race.